Serving military members, families and Christian groups from around the world as a vacation retreat and conference center since 1962. 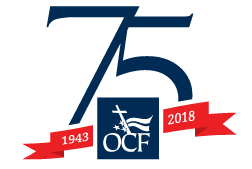 Join us in 2019, as we celebrate OCF’s 75th anniversary…75 years of strengthening faith, equipping families, and serving those who serve. For more than five decades, people have participated in exceptional retreat and vacation experiences through the ministry of Officers’ Christian Fellowship (OCF) at Spring Canyon. Nestled in the beautiful Collegiate Peaks on the edge of the famous Arkansas River Valley, Spring Canyon is one of the highest operating camps in the award-winning town of Buena Vista, Colorado with an elevation of 9,026’. Signature programs are available during summer, fall and winter, and custom vacation and group retreat options are available throughout the year. Spring Canyon is operated under special use permit with the Pike San Isabel National Forest. This institution is an equal opportunity provider.